Aikido Ebooks - Revealing Aiki Principles! To make real progress in your aikido training there is only one solution - train hard, but train smart. Read on... because I will show you exactly How to Train Smart! 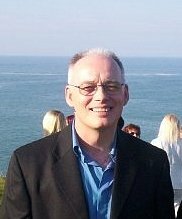 My name is Tony Wilden and I have been studying well-being for over 30 years. I have a deep interest in aikido, aiki principles, spiritual matters, health, environmental issues, and the creation of harmony between people and nature. Summary and Key Action Steps for Fast Results! My Aikido Success Blueprint offers you a handy reference to a wealth of wisdom right at your fingertips. It is designed to compliment your dojo training perfectly. The aikido ebooks offer pdf and exe files, mp4 video, and mp3 audio. The exe for windows includes text, audio, and beautiful music to enhance your experience. I'm so confident you'll benefit from this gold-mine of wisdom that I invite you to try it out at NO RISK! (60-day guarantee) Take Action, because a few small, changes could save you months of training that doesn't reward your efforts! to Quickly Boost Your Knowledge! Clickbank safely processes more than 35,000 digital transactions each day in more than 200 countries. Your card details are fully protected. After your payment is confirmed, you'll automatically return here for instant access to download your unique products. "Tony's aikido ebooks helped me understand my Sensei better. I am far more relaxed, learn Aiki principles much easier and faster. I am now Senpei in the Club"
and 100 Mins of Audio! To reach a high level of skill in anything takes focus, effort, repetition and time. You have to practice the same thing over and over again to reach mastery. But, repetition puts a strain on your body, particularly your joints. Is it right that to get to a high level of skill, it requires a trade-off that damages your health? An injury in Aikido can be a real setback, particularly if it takes time to repair and heal, and can spoil your training goals. 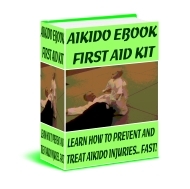 The Aikido First Aid Kit examines the best methods to reduce your chances of an injury. It is clearly written, easy to understand, and is an excellent companion to the Aikido Ebooks Success Blueprint, and together offer a Gold-Mine of Wisdom. A unique 51 minutes video, that includes key tips to fast-track your understanding Aikido principles. Dozens of simple things you can try at your dojo to greatly improve your skills. Please Note: This video is only offered as a free bonus because of the poor video quality. BUT... the content is truly unique and offers you great technique enhancers.
" 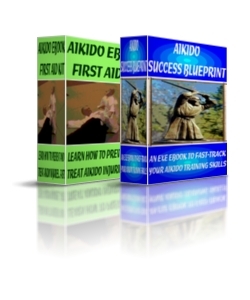 Aikido Success Blueprint gives good tips, especially on prevention of injuries, and how to choose an instructor. 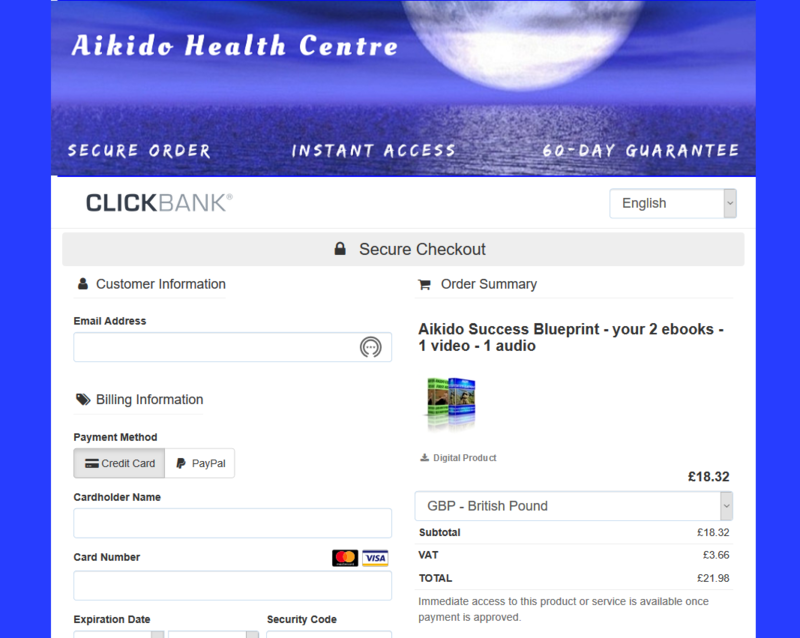 It saves time in learning aikido skill "
" The Aikido Ebooks that I purchased are extremely helpful in my aikido training with Tony at the Arun Aikido Club in Bognor Regis, West Sussex UK "
" The Aikido Ebooks Success Blueprint and video helped my development in an incredible way thanks to Sensei Tony's very clear, step-by-step, tips "
"GREAT aikido ebooks! I suggest you take advantage. They helped me understand the basics and my aikido is far more accurate. A must to master the art of Aikido"
" We attended Tony's self defence and aikido seminars, and found the skills we learnt brilliant and effective. A great instructor, with easy to learn action steps "
Have you noticed the Aikido Success Blueprint is a Unique Resource? You wont find anything like it elsewhere. Plus bonus ebook, 1 hour video, & 100 min audio!
" If, for any reason whatsoever, you are not completely satisfied with your products, simply let me know within 60 days, and you will get a full refund... plus I will even let you keep the bonuses... I can't be fairer than that can I? " to Quickly Develop Powerful Skills! ClickBank safely processes more than 35,000 digital transactions each day in more than 200 countries. Your card details are fully protected. After your payment is confirmed, you'll automatically return here and get instant access to download your unique products. Well... its over to you, I've included many of the simple, practical exercises I personally use. Secure them now before I come to my senses and increase the price. P.S. If you are not satisfied, let me know within 60 days for a full refund... no questions! Audio to Develop Powerful Skills! Our Aikido Ebooks Affiliate Partners Earn 50% Commission!